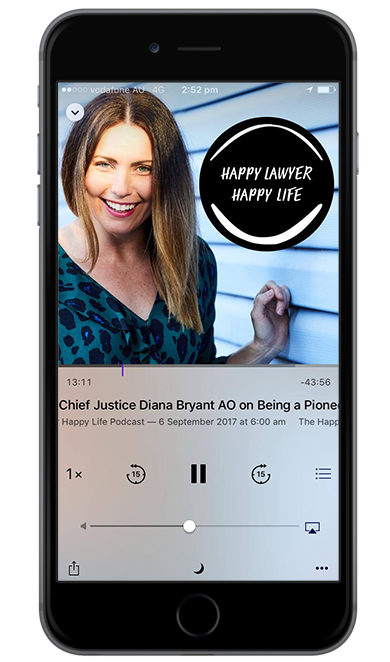 In this week’s episode of the ‘Happy Lawyer Happy Life Podcast’ I had the pleasure of interviewing Barrister Jane Fitzgerald who I promise will keep you smiling for the next hour! 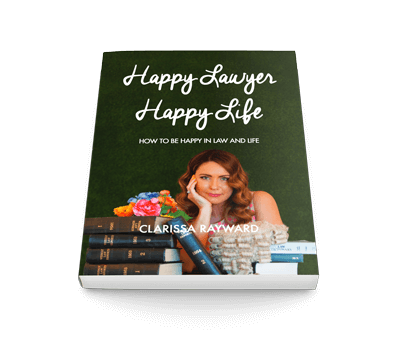 Jane’s life in the law started in a reasonably traditional way- law school after high school and then off to become an Articled Clerk all because she promised her parents that she would get a ‘real job’ before she pursued her true passion- acting! Because one job was not quite enough for Jane, she spent her evenings at acting classes, training to be an actor perhaps at the time with the secret hope that the Oscars were just around the corner! Fast forward a few years and at age 30 Jane threw in the law towel and took up acting full time (which we have come to learn meant ‘whenever acting work became available coupled with a number of casual and part time jobs to pay the bills!) But for the best part of 10 years Jane had the chance to travel the world and pursue her dream all by taking a leap of faith that she has never regretted since! But Jane’s ‘law story’ didn’t end there. A few years down the track she found herself returning to ‘law land’ as a Barrister. It will come as no surprise that Jane’s experience on the stage is something she draws upon in her role in the law now almost everyday. Like so many of my guests Jane’s courage to explore law and acting and now law again is what has brought her happiness in her life. Throwing it all in to pursue something else you love does take courage and a healthy serving of self belief but you will hear in this interview with Jane how this attitude has allowed her to life a full life and nothing has been wasted along the way. If Jane was not a lawyer she would have been an actor, which she was! Jane grew up in Kyogle in NSW not far from my home town of Alstonville so we may have shared our love of small town living! Her decision to get a ‘proper job’ to perhaps please her parents before allowing herself the chance to go and be an actor! Jane’s life as an actor- including her part time job as an usher at the Qld Performing Arts Centre that I am truely jealous of. Jane’s advice for anyone thinking about trying something different outside of law. Jane’s life now as a commercial Barrister here in Brisbane and on the Gold Coast. Her ‘side hustle’ now- teaching advocacy skills both here in Australia but also in the USA. The correlation between advocacy skills and acting when it comes to being an effective advocate. The impact of people around you and creating a space where you can learn and improve your skills. Jane is a mother of two young boys and shares with me her tips on making things work both in her career but also for her family. Jane shares her tips on contentment in and outside of the law. What Jane is working on at the moment in Chambers and what is on the cards for the future. Sit back and enjoy this interview with Jane Fitzgerald.